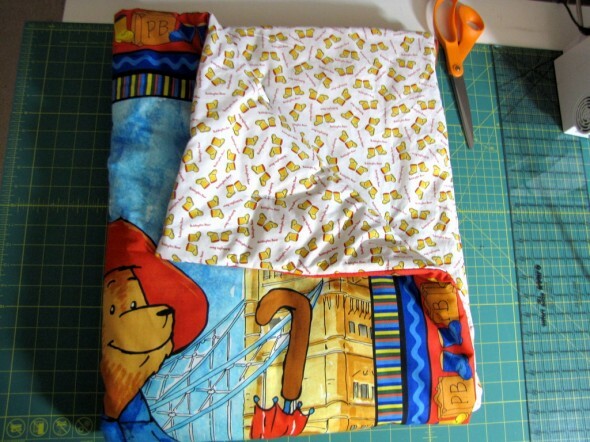 Last week I asked for help deciding between a super simple Paddington Bear quilt and a more elaborate patchwork quilt for my very pregnant friend. Paddington was the favorite, I even got texts rooting for him. 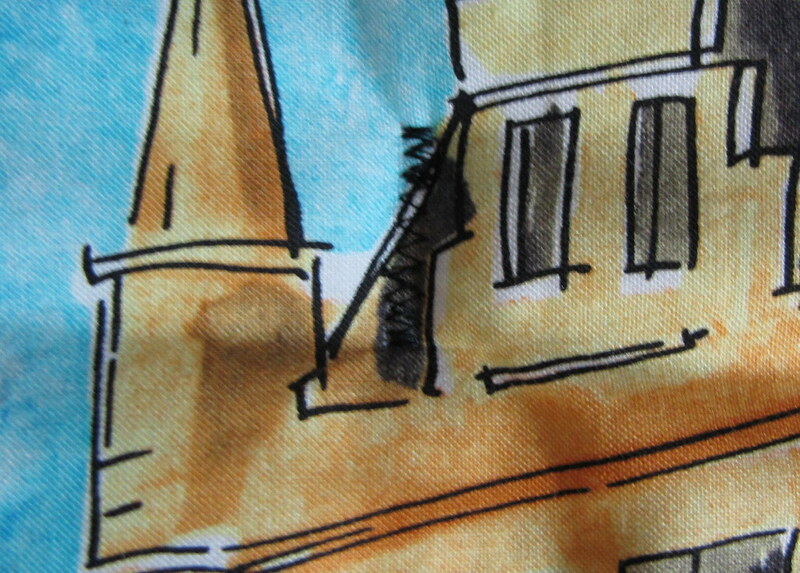 But I was still on the fence about such a simple quilt for a good friend, and then said friend’s water broke last night. And I hadn’t made her anything yet. So it was definitely time to rub some speed on this project. Babies don’t wait for my creative inspiration to strike, apparently. So Paddington won. 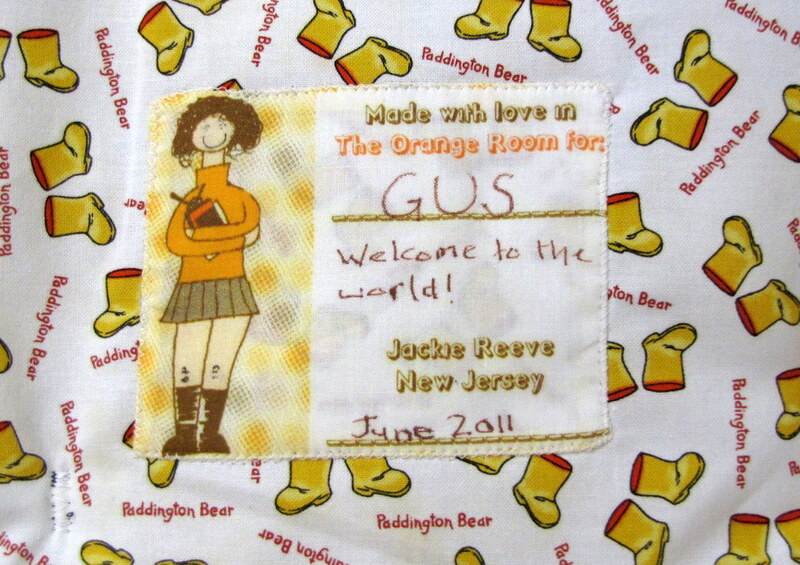 And I’m glad he did, because as simple as this quilt is I’m smitten. It’s not as fancy as this one or this one. But it’s all Paddington, which is perfect since Adam is British and we both adored the bear from Peru as children–a great gift from both of us. I’ve overnighted a stuffed Paddington and a beautiful edition of A Bear Called Paddington from Amazon to go with it. The Reeve Household would be lost without Amazon Prime, honestly. This quilt is the latest example of my love affair with the “Super Quick + Easy Baby Quilt” from Last-Minute Patchwork + Quilted Gifts by Joelle Hoverson, owner of Purl. I’ve made it several times, and it takes about an hour. This time I used black thread for the top stitching and white for the backing, and I just did some fun zigzags in strategic places to hold it together. 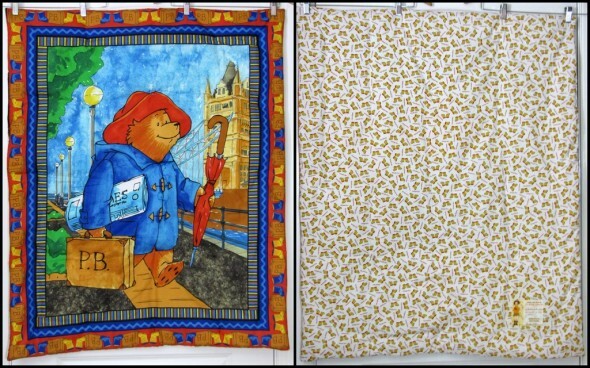 The hardest part was deciding which background fabric (I have the boots in red, too) and which stuffed Paddington to get. I had no idea that there are versions of Paddington with no boots, yellow boots, blue boots, and red boots. Yellow boots won out in the end. So any time now this baby boy will arrive.